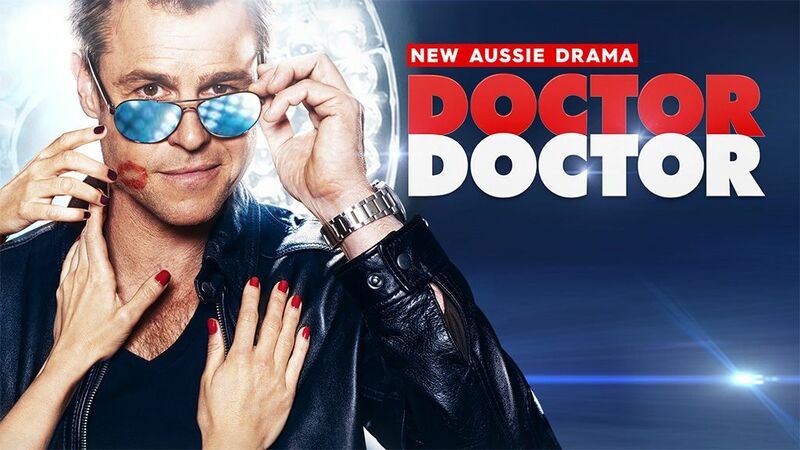 Doctor Doctor, 2016’s big drama hit, has commenced production in Sydney of its second series, to air on the Nine Network later this year. Series two sees Hugh (Rodger Corser) determined to live out his probation in peace. However there is no peace in Whyhope. Relationships will be tested; with an election scandal, a kidney transplant and a wedding on the horizon. The dysfunctional Knight family faces a tough decision: will their struggles bring them closer together or tear them apart? An outstanding cast is returning for the 2017 season: Rodger Corser (Hugh), Nicole da Silva (Charlie), Steve Bisley (Jim), Ryan Johnson (Matt), Tina Bursill (Meryl), Hayley McElhinney (Penny), Matt Castley (Ajax), Chloe Bayliss (Hayley), Charles Wu (Ken) and Belinda Bromilow (Betty). All are back in the second series. Joining them is Angus McLaren (Packed to the Rafters), who plays the charismatic ex-army medic Dr. Toke – a man with Penny (played by Hayley McElhinney) in his sights. Another strong addition is Brittany Clark who plays Mia, Whyhope’s straight-talking but beautiful new nurse.